RoadSafe Appoints Joe Scarano to Chief Financial Officer - RoadSafe Traffic Systems, Inc.
RoadSafe Traffic Systems, Inc., the nation’s largest provider of traffic safety products and services, today announced the appointment of Joe Scarano to Chief Financial Officer. Mr. Scarano has over 25 years of experience building and leading finance, administrative and technology teams and strategies. He has led a variety of mergers, acquisitions and capital market transactions, including public debt offerings, syndicated term loan and revolving debt financings, private equity sales, as well as a company start-up and an IPO. Most recently, Mr. Scarano served as CFO for Industrial Container Services, a $400M Florida based, private equity backed company and successfully led a sale transaction in April 2017. 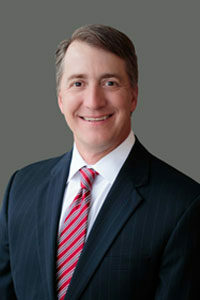 Previously, he spent a long tenure in the solid waste management industry, including the CFO position with WCA Waste Corporation in Houston, Texas. During that time, his team successfully closed and integrated over 60 acquisitions and was responsible for designing the capital structure of the company and overhauling the financial strategy, planning and controls. Mr. Scarano is a Certified Public Accountant and graduate of Texas A&M University with Bachelor of Business Administration degrees in Finance and Accounting. He and his wife will soon be relocating to Chicago where RoadSafe is headquartered. 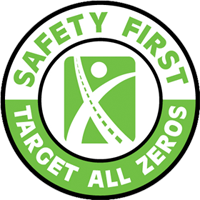 RoadSafe Traffic Systems, Inc. is the nation’s largest provider of traffic safety and pavement marking services and innovative safety products to heavy highway, building and specialty contractors, State DOT’s, local governments, U.S. railroads and utility companies.